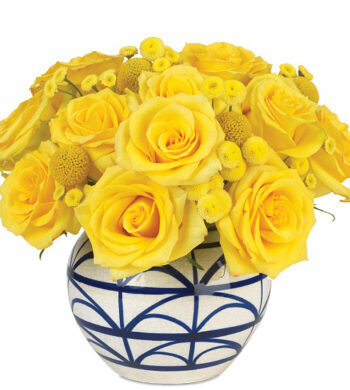 Few flowers are as colorful, charming, and happy as the tulip, which makes this bright bouquet a welcomed surprise for get well, new baby, or just because. 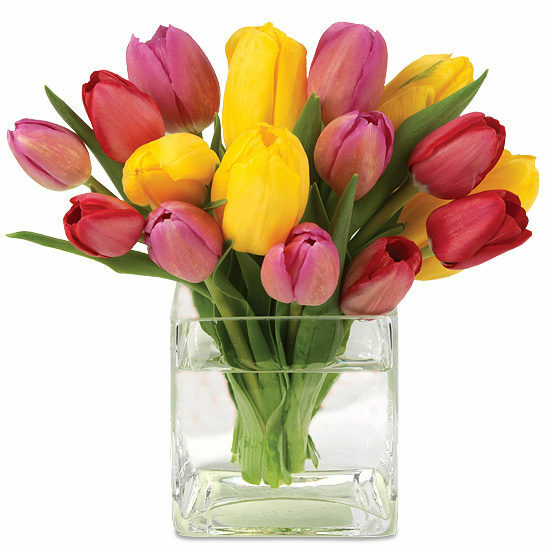 Our sunny Dutch tulip combination is a collection of seventeen red, pink, and yellow blooms that arrive already perfectly arranged inside a 4″ square, clear glass vase. A delight for anyone’s eyes, especially Mom.